You don't always need the fanciest stem on your bike. 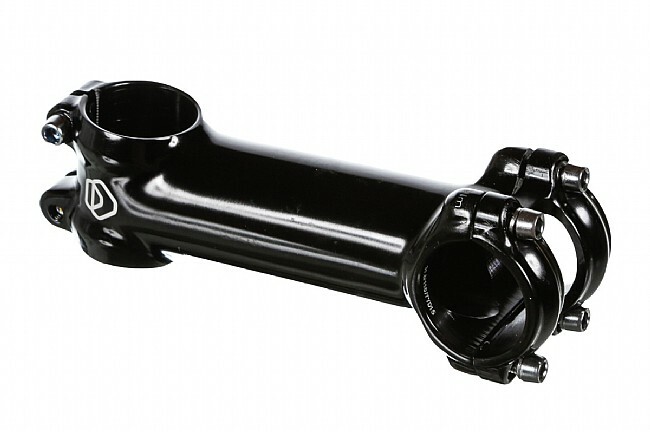 For testing out a fit or just building up a bike to bash around, the most basic of hardware, like this Threadless Stem from Dimension, will do the job just as well as any of the more glamorous options. These alloy stems are forged from 6061-T6 aluminum and feature 4-bolt faceplates for secure mating to a 31.8 mm bar. At 131 g for a 100 mm length, you might even just decide to make this stem your go-to for all your projects. ±7° rise. 41 mm stack height. Available in multiple lengths.